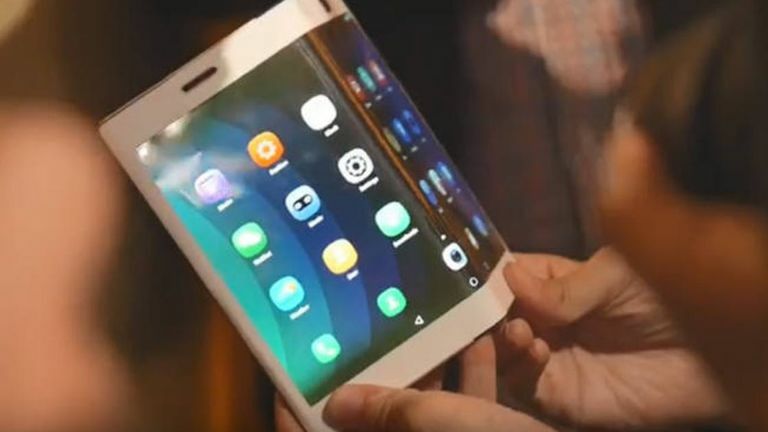 The LG Bendi foldable phone could feature a unique display that folds back on itself to leave the front and back of the handset as a pure screen. Yup, that's a Samsung Galaxy X beater right there, presuming the screen doesn't crack like an iPhone. The images of the potential future LG foldable phone appeared on ever reliable patent spotter website letsgodigital. This showed images of the screen which appears to fold outward rather than inward, like the Samsung Infinity Flex Display does. This idea is good in some ways: so there is a single screen to save on battery, build cost and thickness. But it could also be a negative as that means the screen is always exposed even when folded up away in your pocket or bag. It'll be very tough to get a case on that too. So, does this patent also mean that LG has mastered an unbreakable screen like Samsung did earlier this year? And, more importantly, are we going to see it appear soon? Either way, another cool part of this patent is that it refers to this as a "borderless display" meaning we can expect a bezel free screen as well as a bendy one. When you consider bezel-free screens on normal phones are still new, to make this jump to a foldable one could be huge. LG is not expected to launch its foldable phone, potentially called the Bendi, until late in 2019.